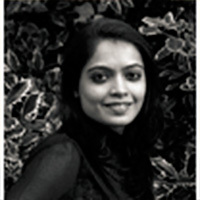 Jyoti Panday is a Consultant to the Indian Institute of Management (IIMA) IDEA Telecom Centre of Excellence. Jyoti was previously Programme Officer at the Centre for Internet and Society working on Internet governance and on issues related to the role and responsibility of intermediaries in protecting user rights and freedom of expression. She has experience in strategy, campaign management and research on issues and processes related to the development agenda, sustainability and democracy. She has completed her MSc in Public Policy from Queen Mary, University of London.